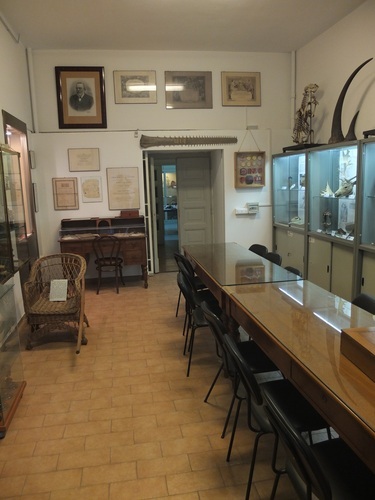 In the Museum of Comparative Anatomy ''Battista Grassi'', in Rome, the hall dedicated to the zoologist Giovanni Battista Grassi (1854-1925), whose name is related to the identification of the mosquito that transmits malaria, contains his manuscripts, few possessions and a collection of scientific instruments. 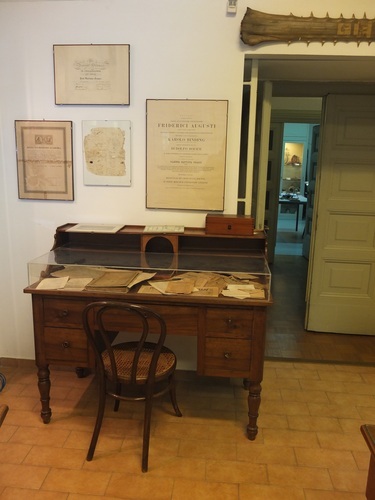 The large hall that contains documents, papers and magazines about Giovanni Battista Grassi's life and also some furniture used by himself, like the chair and the desk on the left side of the photo. 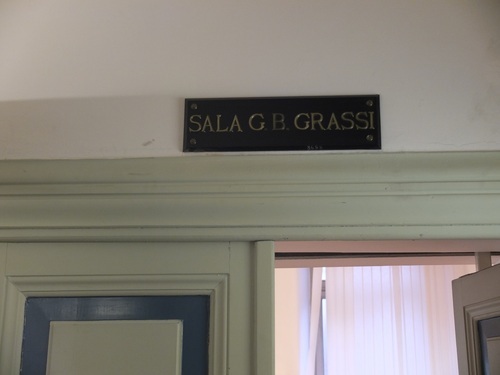 Archives of Giovanni Battista Grassi concerning malaria researches and medical records. 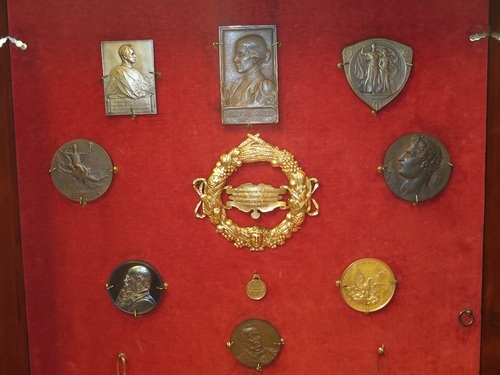 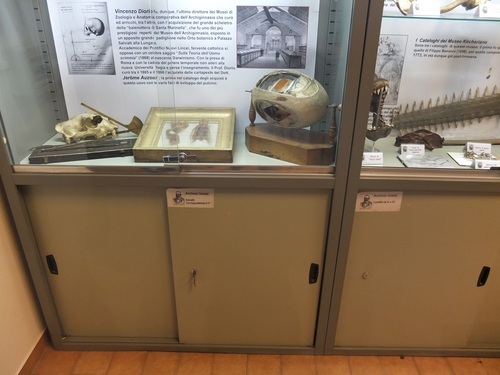 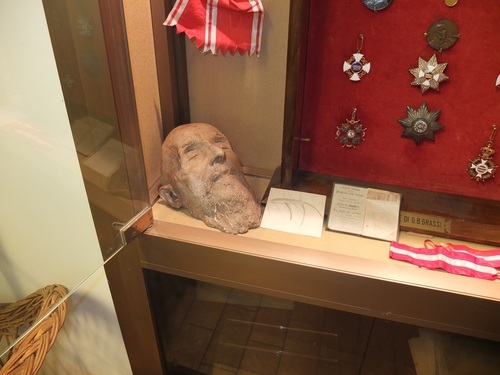 A display case with his honours and the death mask. 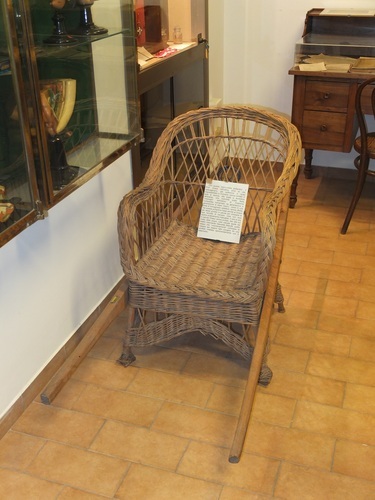 The sedan chair (portantina) used to bring Professor Grassi to his classes, during the last two years of life because of arthritis. 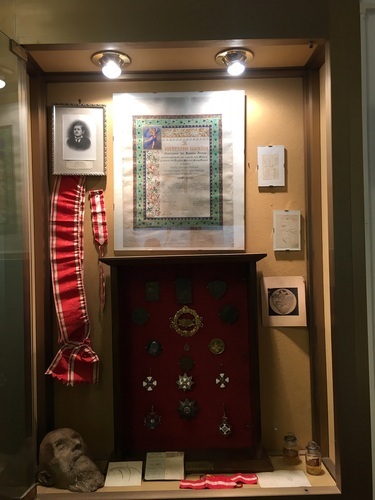 Photos by Francesco Saverio Loria moc.liamg|airolsocsecnarf#| and Filippo Crisci moc.liamg|79icsircoppilif#| (January 2017) courtesy of Prof. Ernesto Capanna and Prof. Castiglia Riccardo.